For the last year and half, I’ve been looking for a new car. My 2003 Toyota Highlander has been starting to show its age. It has low mileage, but I’ve had to do some maintenance on it. In addition, the only tech I have on it is a radio I installed about 2 years ago with Bluetooth. One of the features I’ve really wanted is Apple’s CarPlay as it would allow me to have a familiar interface in the car for navigation, media, and phone. While the number of cars with CarPlay available has been increasing, most haven’t been cars that I’d want to own. 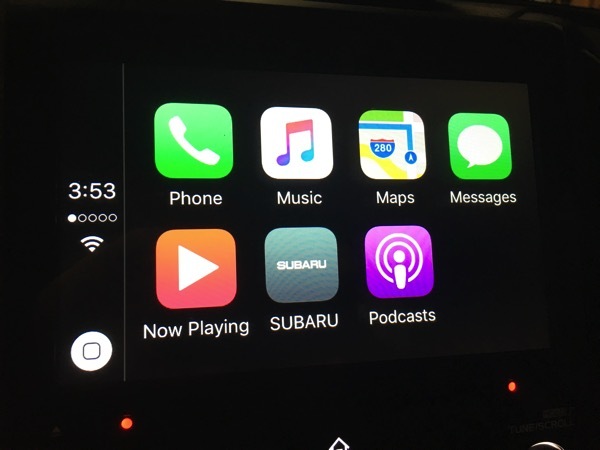 In July, I happened to look at Apple’s CarPlay site and saw that the 2017 Subaru Impreza would have CarPlay. I looked online at the car and it looked like it could fit the bill. However, it wasn’t going to be available until the end of the year, so I’d have to wait. In the last few weeks, I started looking at inventory at the local dealers and saw that cars were in transit. I picked the color and options and used a car buying service to negotiate the price for me. Last Thursday was the day for me to test drive it and see if it really was the car. Going from an SUV to a small car was definitely going to be a change, but I don’t really need an SUV (helpful a few times a year). Fuel economy was going to improve and a smaller car might be more fun to drive. When I first got in the car, besides being much lower than my Highlander, I found that the side and rearview mirrors were larger than I expected. Last year I test drove an Audi A3 e-tron and the mirrors on that thing were tiny. I was worried that the smaller car wasn’t going to be able to accelerate on the freeway, but was pleasantly surprised how well it did. The tech, at first, was a bit distracting. There are 3 displays! One is behind the steering wheel, one is the center display for radio, maps, phone, and the third is an info display that can be used for radio info, weather, MPG, etc. After the test drive, I was ready to buy; I promised my wife that I wouldn’t buy a car without her seeing it. We went back the next day and I left with a new car. I’ve driven it for 3 days now on city streets and highways and have gotten a pretty good feel for the car. While I’ve tried to go through the manuals, there is far too much information in them for me to consume right now. I chose the Impreza 5 Door Limited with EyeSight. I’m a tech guy and not a car guy, so I picked the car based on the tech and specifications. The fact that it was pleasant to drive was almost a bonus! My impressions are in no particular order. Backup camera has lines showing where the car will go. Blind spot detection; can be annoying at times as it lights up almost constantly on the freeway as people are passing. Rear cross traffic alert. Getting out of a parking space at SeaWorld is a nightmare. This and the backup camera (and of course looking with my eyes), got me out of a space safely. Impressive turning radius. Specs say less than 18′; my Highlander appears to have been about 38′! CarPlay. Enough can’t be said about this. When I’ve gotten in the car, it knows where I’m going (based on my calendar) and offers to navigate. Phone integration is great and so is music. Controlling everything with Siri works well (better than Siri on my Bluetooth radio in my old car). One thing to be cautious about is if you use maps all the time, you’re going to use up some of your cellular data. After a few hours of driving, I used almost 12 MB of data for Maps alone. I’m going to keep an eye on this; even at 10 MB of data per day on maps, that won’t be a problem on my current plan. (I pay for 2 GB, buy AT&T has given me 2 GB bonus per month plus I have rollover. At a minimum I have 4 GB per month and the most I’ve used is 3 GB.) If someone streams music and uses Maps all the time, this could be costly. Speed adjusted volume. There is a setting to make the sound louder when the car is going faster. This is great for freeway driving. I’m still playing with the setting as I think the max setting is a little high as the volume increases even at lower speeds. While not documented, it appears that there is a separate volume level for the radio, for navigation (using CarPlay), and for phone. If you adjust the volume while the navigation is speaking, there is a different icon on the display. This is great as I don’t need it really loud. The keyless entry allows me to leave the key in my pocket. This is really neat and convenient. In addition, since the key uses proximity for unlocking, you have to be pretty close to the car to unlock it. While I can still push the button on the remote, I think the proximity is more convenient and potentially safer due to a potential replay attack. Handling is good; while I haven’t gone zipping around that many curves, I like how it handles. Acceleration is much better than I expected. Coming from a larger engine, I was worried about being able to get up to speed in traffic. I haven’t found that to be a problem. Quiet. I know this is subjective, but it seems like the ride is quieter. Lane departure warning; this feature is one that I hope to never use, but have already heard it beep when I was driving due to 2 lanes merging and I was slightly over the line. The system that actually keeps the car in the lane has to be turned on separately (it isn’t automatic). While not specific to this car, Subaru put all the manuals in PDF on their website. Unfortunately they separated the manuals into 20 parts. It took me awhile to grab all the pieces and put it back together; I’d rather a 50 MB PDF than 20 smaller ones that are harder to search. 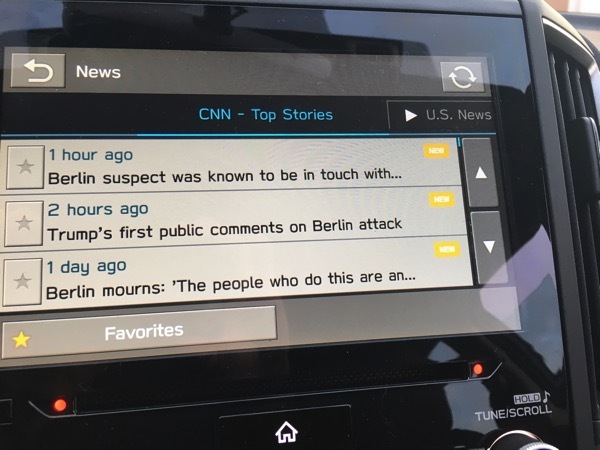 The STARLINK multimedia apps (not the system that gets help in an emergency) is a bit outdated for a system that supports CarPlay. With CarPlay, there is no reason (that I can think of) to use Subaru’s app. The whole system is truly a piece of crap. The iPhone app looks like iOS 3 or 4; the display in the car isn’t much better. The apps take forever to load (we’re talking 30 seconds) and the second time I tried the system, I couldn’t get the apps to come up (tried for about 20 minutes). Frankly I wish there was an option to completely hide it. This is NOT a selling point for the car. If the navigation system is anywhere near as bad as this, I’d steer clear of it. It appears that this system was designed by Clarion. I’ll be removing the app from my phone (it is required for the head unit piece to work). Even though CarPlay is limited (I’d like to see Navigon on it), the interface is well thought out and looks good. No lumbar support in seat. Too many settings in too many places. Each of the 3 displays has a way to change settings. It’s low to the ground. I’m not used to this and right now I’ll call it a con. There are all kinds of warnings about cleaning the inside of the windshield to protect the cameras for the EyeSight system. The instructions say to use a piece of copy printer taped over the cameras when cleaning. Subaru should have provided a rubber boot that fits the system; this would have been less error prone and would have protected the camera better. No good place to put my phone in the car. In order to use CarPlay, I have to plug in my phone to USB; the USB plugs are in the center console and allow me to route the cord outside of the console. For now, I leave my phone upside down in the cup holder. I’d love a dock (with Lightning connector) like I have on my desk (it would have to be a bit more secure, though). Less cargo space. This is pretty obvious as I came from a larger vehicle. I think the only time I’ll have a problem is when we go camping. I’ll have to get a roof box for those few times a year. No ability to remove some options from the multimedia menu. I just want CarPlay, radio, and settings to show up. The button to lock all the doors is hard to find by touch. This could have been mitigated by an option to lock all the doors when the car is put in drive, but that doesn’t appear to exist. Too much information can be distracting. I’m trying to find the settings I like that keep distractions down. One of the information displays is right behind the steering wheel causing the analog speedometer to be moved to the right; this is partially obscured and I have found that I have to use the digital speedometer in the display in order to easily see my speed. Not specific to the car, the mysubaru.com app and site don’t let you do an initial login on a phone as the page is too long to fit an iPhone 6s screen and it doesn’t screen. Also the app appears to just be the mobile website. Dual front climate control (manual talks about this, but didn’t appear to be an option). I’m truly amazed at how many things this car got right. It has all the safety features I want, all the tech I want, and the price didn’t break the bank. In fact, I read an article that indicates the average selling price for a car is over $34,000! I’m not sure how people afford these cars or what they get for more money, but my Subaru came in at under this. I’m enjoying driving the car and I hope the fun continues. Scott, sounds great, nice review. My 2016 Toyota Tacoma Off Road TRD has many of the same features minus CarPlay. It’s interesting, Toyota is listed in the CarPlay main list but no models are listed when one clicks through. I think you’ll come to love the side mirror blind spot warnings. They distracted me initially but I love them now. Same with the rear sonar for cross traffic, very useful at Costco backing out of a space. I’ve got lines in my backup camera view that are very useful for backing up to attach my trailer. Toyota’s native system is called “Entune” and it’s quite awful, but, either with “Hey Siri” through it or on my phone directly I can pretty much do what I want. 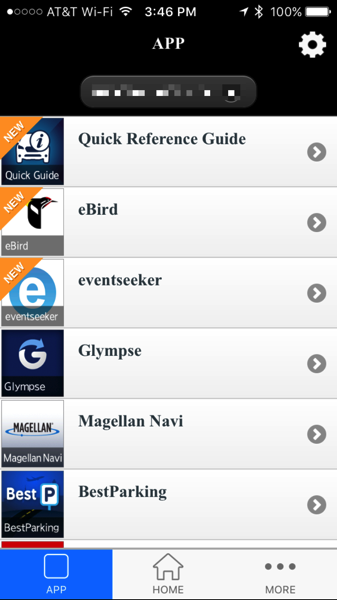 I flip back and forth between my iPhone and the Entune maps and apps and services. All are useful. There are a number of controls on my main dash console that are tough to see from the driver’s seat for me and I think it’s just as dangerous as texting and driving (which I don’t do) to fiddle with things that are located too far to the driver’s right (center of console). I too have more than one LCD screen, one main one in the center, and the other where the speedometer is by default but it can be rotated to show different information by using a control on the steering wheel. This is definitely useful and as I use it more it become second nature. My truck is a 4 door with a fold down back seat and a short bed. I was nervous about this as I’ve always had a full bed pickup but in fact, with my 8′ utility trailer I’m covered when I want to haul something big. The back seats are almost always folded down which makes for great storage on Costco trips. But, if I need to haul more people I can easily do it in comfort. Very nice feature. I really wish one could completely override a vehicle’s built in computer and just add CarPlay by plugging something into the car’s diagnostic port. That would be fantastic, sort of like Automatic (https://www.automatic.com). Thanks for the nice review. I just bought mine a week ago. I’m also a techie fan. The closest version of your Impreza in Canada is the Sport-Tech version with EyeSight. I have a question for you. I have the 8″ Multimedia with Navigation (same as you I think). With the software version Rel1.16.46.20 I don’t have the Speed volume setting (last one in the sound setting page) which is referred to page 72 in the owners manual for the Multimedia. I was wondering if you see the same thing ? It kind of bugs me. I actually don’t have the Navigation, but I do have the speed volume setting and have had it from the beginning. 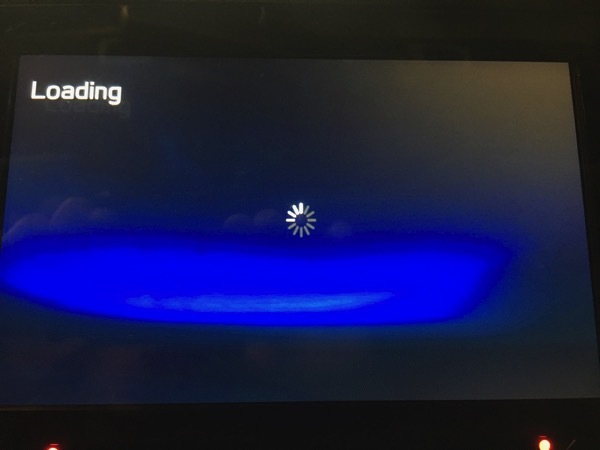 I did get a firmware update last week to fix an issue dealing with memory corruption at system startup (I believe it affect CarPlay starting, but was a recall because it affected the backup camera). While you don’t have that feature, I didn’t have the option for dual zone automatic climate control! The differences in the models in the 2 countries almost seem baffling. Interesting enough I’m in talk with Subaru right now. They are investigating that issue since it is shown in the Multimedia Owner’s Manual. It makes just no sens for not having it, probably a firmware issue that will be resolved at he next update (or the one after, or the other one…). I thought you had the Nav, maybe an option on your side of the border. Here you have 4 trims, no option other than the Eyesight. Our Sport-Tech model comes fully equipped but without the bars on the roof (not available in Canada) and some connectivity stuff related to starlink. It’s roughly a limited and a sport that they have blended together. Other than that Speed Volume setting, I don’t have other bugs at this point. I’m not impressed by the rear speakers on the HK Premium Audio and it definitely lack a sub in the trunk. I’ll survive my disappointment. Coming from a Limited Outback, I guess I need to be a bit more realistic 😉 I would also like a bit more stats on the big screen, something similar to the Outback… maybe in a future update (this is the good thing with software, you ca always dream for more). I opted against the navigation as I figured CarPlay would work well and it hasn’t disappointed me. The interface outside of CarPlay for Starlink is just awful, so I made the right decision! I agree with your statement. It’s just a lack of option in Canada that forces me to get the Nav. But I must say that the Nav works pretty well, way more than I’ve expected. CarPlay definitely has its plus but it would be nice if google maps could work with it without having to be on Android. Again, in Canada google maps still have an edge on Maps from Apple (even if I’m an Apple fan boy). 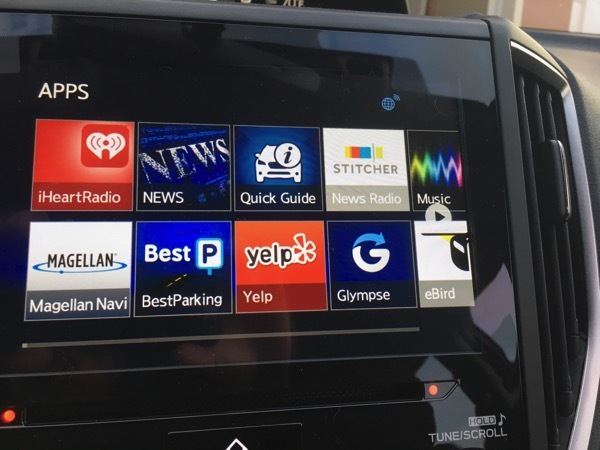 I’ve been pretty unimpressed with infotainment systems. CarPlay is simple and clean. For my driving, Apple Maps works well. I suspect that Google Maps isn’t an option for CarPlay is that it isn’t integrated with Siri which makes getting directions (unless you set it up ahead of time) a distraction requiring touching the screen. Thanks for the review. 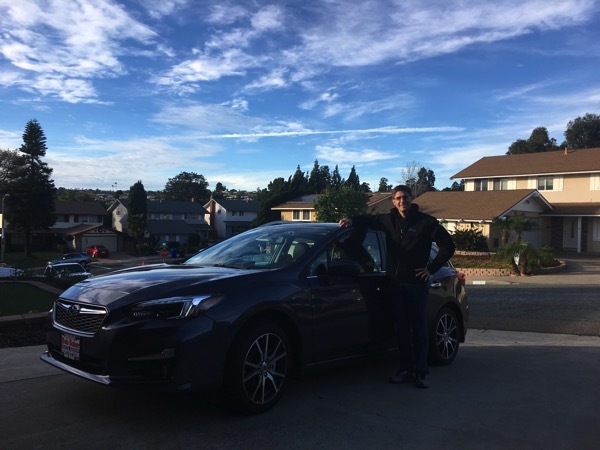 I just bought a manual transmission 2017 Impreza Sport. I agree with you on everything except acceleration. The acceleration on my car is horrible.